I hope you all had a wonderful Thanksgiving weekend filled with family and friends, good food and good memories! We had a great time, and I even had some opportunities to experiment with Thrive foods, that I’m excited to tell you about in the coming weeks. The sale is winding down…there are only 14 hours left…the sale ends at midnight tonight MST. Here are a few of my favorite picks….some for the pantry, and some for gift giving….you really can’t go wrong with a gift of preparedness. Tomato Powder: I no longer purchase cans of tomato sauce or tomato paste, for a couple of different reasons. First, the cans are lined with BPA which interacts with the acidity in the tomatoes. No bueno. Second, here at my altitude, cans of tomato sauce can bulge within a couple of months simply because of the high altitude, but not necessarily because they’re bad….but it’s not a chance I can take, and used to throw away lots of tomato sauce. Now, I don’t have that problem, or the problem of only needing a tablespoon or two of tomato paste from a 6 ounce can. I can mix up what I need, when I need it. Definitely one of my favorites. Sausage Crumbles: Already cooked, and drained, these little firecrackers of flavor are at the top of my favs list. I throw them in soup, in our omelets, in bolognese sauce….there’s a whole lot of flavor, so a little packs a punch. Chopped Onions, freeze dried: no more crying, no more chopping, no more nicked fingers. These are such a time saver (and an eye saver) in my kitchen. Plus, I love that I can assign one of my younger kids to cook and they can do it without using a knife. Raspberries: Thrive fruits have so many uses in my kitchen. I like to throw some in a jar with lemon balm from the garden and let it sit in the sun for a few hours, for a delicious and refreshing sun tea. I used them in my Raspberry Sauce for my Buttermilk Pie on Thanksgiving, AND I used them to make a great, healthy jello dessert. I am not a fan of jello…the red food coloring and artificial flavors…yuck. So I experimented for Thanksgiving (I know…a no-no) and made a jello using ground and whole berries, knox gelatin and apple juice…it was a home run…everybody loved it. I’ll be sharing that recipe with you in the coming weeks. There are also a few unadvertised specials you may be interested in. These aren’t available on the website and can be purchased only by ordering through me. And now, news about your free gift! All subscribers to the Essential Homemaker newsletter will be receiving in their inbox a free gift, perfect for gift giving and for having on hand this time of year. If you are a subscriber, watch for it…it’s on it’s way! If you’re not yet a subscriber, go HERE to be added to the list, and I’ll be sending out your gift in the next day or so. Thanks so much for all your support, through Black Friday, Small Business Saturday, and today, Cyber Monday. I hope you enjoy your holiday season, and may you feel the blessings of making peace and preparedness a part of everyday life. I attended the Thrive Life Unleash Your Dreams 2014 Convention earlier this month. It was full of inspiration and motivation and I’m so glad I went. One new thing they announced is the new Thrive Guide. SO.COOL. It lists every item and gives great tips and tricks and ideas for using them. It has recipes, conversion charts, re-hydration tips and more. It’s amazing. And it’s on sale through May! 50% off now through the end of May. Or you can get it free. Yes, I said FREE! Another newby is the new Smart Start: Taste of Thrive. From the website: A Taste of THRIVE helps you start using THRIVE in the meals your family already loves. It comes with some of our most convenient, delicious, and time-saving THRIVE products, plus all the tools you need to start using them in your favorite meals right away. You’ll cut down meal prep, waste less, and eat healthier in no time! A Taste of Thrive is a fantastic option for your Thrive Q. It has three different packages that you can receive once a month for $100, a significant savings over the retail price AND entitles you to receive the Q CLUB membership for free. All KINDS of free going on in here! Not only that, but 5% of all Thrive’s profits go to their charity Thriving Nations which teaches better agricultural practices to people in developing countries. Click on the link to find out more about this fantastic charity. And it comes with a FREE Thrive Guide, along with a super selection of products to start using Thrive in your everyday cooking. And MORE new stuff….there’s a new BAKERY LINE! Bread dough mixes, cookie dough mixes, cornbread mix….and YEAST. Thrive is well on it’s way to covering all the bases. And delicious, too. At our convention, I got the chance to taste ALL of the new products and they are fantastic. In fact, they’re so fantastic that I wanted to give away one of the new Vanilla Sugar Cookie Dough mixes to one lucky winner. You’ll love this cookie dough…super versatile and easy to use. And I think I’ll throw in a Thrive Guide, too. Yeah. So use the Rafflecopter entry form below to enter to win. Giveaway runs from 12:01 AM April 25, 2014 through 11:59 PM May 1, 2014. Good luck! I don’t know about you, but I can’t WAIT to see who wins! Delicious, no bake, healthy stuff…you name it, this one’s got it. I love to make this every few weeks to give my kids a treat after school. coconut oil, honey, & natural peanut butter. The ultimate in no-bake cookies. And I highly recommend toasting your coconut…yes, it is an added step, but it adds a whole new dimension of YUM to these bars. If you’ve never toasted coconut, you can check out my tutorial on toasting coconut. Put oats, coconut, chocolate chips, and crispy rice cereal in a large bowl. Melt peanut butter, honey and coconut oil over med-low heat, stirring frequently as melts. When melted, remove from heat and add vanilla extract. Pour into a parchment paper lined 9×13 pan. Refrigerate 3-4 hours to harden. These little yummy bars are a great afternoon snack. What are YOUR favorite afternoon snacks? Have you ever made no-bake cookies? Do you have any fun and unusual ingredients you’ve used? Leave me a comment and tell me about it! Have a fabulous no-bake day! Friend,…..can I call you friend? Let me tell you a little about my journey. Putting it out there makes me feel terribly vulnerable, so please be kind, if just for a moment. But maybe there’s someone out there like me who needs a little push, a few ideas. If so, this for you. I’ve been overweight my entire life (well, since the age of 9 probably). It bugged me, but it didn’t stop me from living my life. A couple of years ago, I went through something very traumatic, and didn’t feel like eating…ever. This was a first for me. But it put me in a place where suddenly things clicked in my head and I started to lose weight. And exercise was a release and I started to enjoy doing it, and I started to lose weight. I lost a lot of weight. 115 lbs, to be exact. And I loved it. I have never felt better in my body than I did then. And the “weight-height” indicators would tell you that I was still 70-90 lbs overweight, but I felt awesome. I felt free. I felt unstoppable. And then life ramped up in the super stressful department. Planning and executing a wedding by myself (and with the help of a couple of amazing friends and family), all the “should-be-doing’s” and the list of never-ending needs and expectations, and so much more. Not to mention beginning a lifestyle of very little processed food, and a blog that required an increased amount of time in the kitchen, cooking and testing and cooking some more. And some off-handed and surely well meaning comments by someone I adore that cut to the core and made everything I had accomplished feel like “not good enough.” I fell right off the back of the wagon, and I’ve been dragged under it for about a year. I’ve gone through periods of not wanting to leave the house, of having no confidence, of feeling so much worse than I ever did before, because now I know how great I CAN feel. It’s been rough. I am so ready to get back on. But your head has to be just right for things to stick, ya? Anybody with me? Have the Desire: you have to want it more than you want anything else. More than the m&m’s, or french bread, or potato chips, or whatever else it is that sets you off. If you don’t want it, then it won’t happen. Pray for the righteous desires of your heart. You’re not the only one invested in your success. Have you ever been cooking and taken a little taste here and a little taste there, to check flavor balance, or texture, or whether something is done or not. Me, too. But it adds up and fast. One of the tricks that I’ve found works for me is to eat carrots and celery before I start cooking, drink a big glass of water, and chew gum. It keeps my mouth busy. Here’s another one….have you ever been super duper stressed and before you know it you’ve eaten a whole bowl of chips or bag of crackers or something else? Crunching down on something reduces stress for me.There, I’ve said it. Part of being mindful for me is making sure that I’m either crunching on something that I’m not going to be tempted to overeat/forget I’m eating, or to chew gum. Or how about trying to understand why you eat the way you do, like with my sudden understanding that crunching relieves stress. Are you an emotional eater, a bored eater, a stress eater, etc. Understanding why is the beginning of making changes to help it work for you instead of against you. Make menus and snack ideas so you’re not rifling through the cabinets and refrigerator at the point that you’re starving and will grab whatever you can find first. And a big part of being mindful for me is remembering to pray and ask for help. ‘Cause I can’t do it alone. Be Determined: You’re going to have to start over five, ten or two dozen times. Maybe more. That’s just the way it is. Being determined means that you’re able to start again, any time you’ve messed up, and not assume that a mess up means failure. You might have to start again every single day for a while, but determination keeps you starting. Oh, and prayer again…I have to pray for strength to keep wanting to effect change. To not give up and sink into a pile of pathetic self pity. Endure: It’s gonna be a lifetime of change. It’s not a temporary thing. You may be going along fine, and then one day find yourself in the middle of a huge setback. Pick yourself up, be determined and go on. And then do it again the next time. Pray for the ability to endure, and do it well. The epiphany continues….these steps aren’t only for my physical health. They apply to almost any thing I can think of. …..Pretty much anything positive and worth doing that you can think of, you can apply these four principles to, and achieve success. YOU can change YOUR world. And I can change MINE. Are you with me? Wanna give it a try? Leave me a comment, telling me you’re with me. Here’s a little free printable for you to print out. Hang it on your bathroom mirror or kitchen cupboard and look at it every day…maybe all day. Look at it until you get to a place where you have the desire, are mindful, are determined and are enduring. I know I will. Host a Virtual Party during Black Friday and earn free stuff! THRIVE Life will be having an incredible sale over Black Friday weekend and I would like to invite YOU to become a “virtual” party host. During the sale, every single Thrive food item will be on sale below the normal ‘lowest price’ (the price you would pay if you went to a THRIVE cooking demo). In addition, many e-prep items and food rotation systems will be on sale! 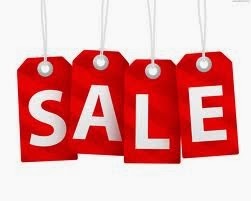 Some items will be as much as 50% off! This yearly sale is the BEST time to purchase and stock up your Home Store and/or Food Storage and other preparedness items! You will not find a lower price any other time of the year on any item – this sale is that good! In addition to being the best time to SAVE on THRIVE Life products, Black Friday weekend is also the BEST time to share THRIVE Life with your friends and family. People love the savings during this sale and they want to purchase and stock up! So, simply tell others about the sale! They will get the lowest prices of the year on great products and you will earn free and discounted product when they purchase! You will earn 10% back in FREE Thrive product on any orders you and your friends place! And…if the orders you collect (including your own) total at least $400, you will also earn additional products at 50% off retail (you choose the products) depending on the total sales amount. The more orders you get, the more 50% off product you earn! *You and at least 2 of your referrals must make a purchase to receive your free and 50% off product. You make a $300 purchase during Black Friday and save 25-50% off retail, meaning you get $400-$600 in product for $300! Your friend Jane makes a $200 purchase. Your friend Mary makes a $500 purchase. You earn $100 in additional FREE product. So, now you are getting $500-$700 in product for $300! You also earn up to $150 in additional product at 50% of(you can choose any product(s) you’d like). That brings your total up to $650-$850 in product for $375! That is a pretty sweet deal!!! *Free and 50% off product is calculated at retail price, not sale price. Step 1: Get on My Mailing List! You will get early notification of the sale and be able to pre-order. This means you won’t have to deal with ordering on Black Friday and will have a much better chance of getting everything you want before it sells out because I will place your order for you the minute the sale starts (November 29th at Midnight MST). Click HERE to sign up for our email list. Email me at jenn@theEssentialHomemaker.com and let me know you want to participate in a catalog party and I will get everything set up so I can properly credit your friend’s and family’s orders to you! Step 3: Get the Word Out BEFORE the Sale! Tell them in person. Click HEREto download a flyer you can hand out at work, school, the bank or soccer practice. Let your facebook friends know. Email your contacts! Click HERE for an example of an email you can use. ***BONUS: Exclusive Pre-Order Extras Just For My Customers!! Pre-orders over $500 will be entered into a drawing for an additional $100 in free product and ALL Black Friday orders will be entered into a drawing for a free Cansolidator Pantry! Winners will be selected on December 3rd. Pre-Order using my special Pre-Order form and make sure they include YOUR NAME in the ‘host’ field of their order form (available Monday the 25th). Email me right after they order (if they don’t pre-order) with their order # and your name so you get credit for the sale. After the Black Friday sale is over, I will email you a total of all the free product you earned. Decide what you want, email me and I will place your free product order* for you! *You will pay any applicable tax and shipping charges. $25 Shelf Reliance gift certificate to one of our awesome readers!!! Visit her website HERE or facebook page HERE to read more about her and the special program that helps you build your food storage as you go, called Thrive Q. The winner could be YOU!! All you have to do is enter using the Rafflecopter widget below! Entries can be made starting today, February 4, 2013 through February 11, 2013. The winner will be announced on February 13, 2013 in a special post on the site! Also, Julie is also hosting a cookbook giveaway! All those who purchase $50 in Thrive/Shelf Reliance products through her during February will be entered to win a fabulous Shelf Reliance Thrive cookbook! So go do the Rafflecopter thing NOW! Good luck to everyone!! Oh, and if you win, what would YOU spend your gift certificate on?? ?